As a sought-after speaker, trainer, and consultant, Jay’s diverse client list includes small business, corporate brands, associations, chambers of commerce and non-profits. His clients have included Comcast Business Class, the National Kitchen and Bath Association, South Carolina SAE, Carolinas CCE, Minnesota CCE, local Chambers across the country and internationally at the Engage Mexico Social Media Conference. 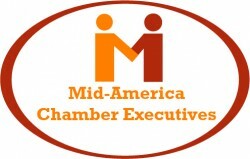 Additionally, Jay is in his second year as a faculty member for the US Chamber’s Institute for Organization Management. Aside from M180s core business of Recruit, Engage and Retain, Jay offers training to clients from his career background of sales, marketing and social media. Jay is the founder of membership180 which is a national membership development company serving client organizations with a program that is not just about numbers, but about pointing organizations in a new direction. With staff training, current member involvement campaigns, a defined membership growth strategy, and tools to implement and maintain said strategies, we provide an ongoing relationship to our clients taking YOUR ORGANIZATION to the next level! To see results organizations have never seen before often requires doing something new. Working with chambers of commerce and associations across the country, Membership180 not only brings new members to the table, generating an increase in revenue, but creates a culture for member engagement and overall retention. It’s a triple bottom line: Recruitment, Engagement and Retention!